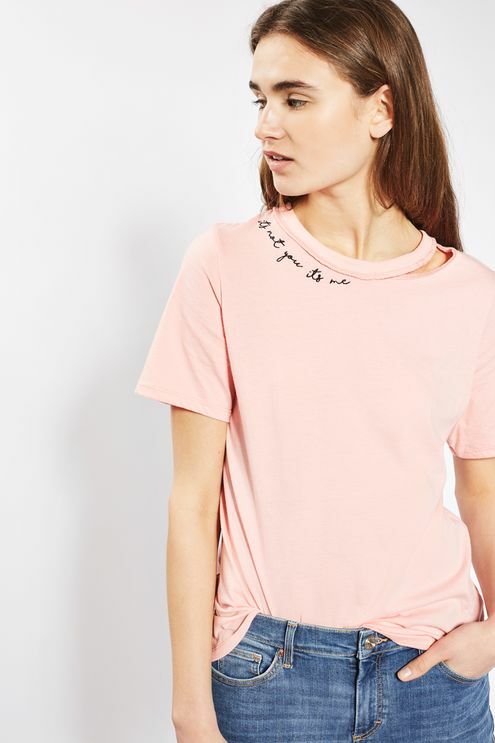 There’s A MASSIVE Mistake On This Topshop T-Shirt But Can You Spot It? 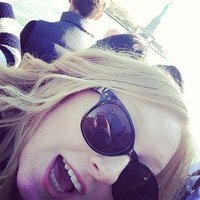 Topshop have been having a moment recently, haven't they? Not a good one, btw. First of all, they were guilty of participating in the terrible un-strategically placed lace overlay band t-shirt trend that ASOS murdered last week. And they've also been threatened with legal action by Puma for stealing Rihanna's iconic Fenty bow slides. Nightmare. But then again, it could be worse... they could be Pepsi. The British high-street brand have just found themselves stuck in another embarrassing situation and it's all to do with a single t-shirt that is currently sold out on their website. To be honest, it looks really nice. It's a nice shade of "Millennial Pink" (side note: what's millennial f*cking pink when it's at home? ), it's got some nice detailing on the neckline. There's a rip in the collar but if you wanna spend £12 on a t-shirt with a hole in it, then who am I to judge? ANYWAY, that's not what we're here to discuss. We're here to discuss the MASSIVE mistake on the tee. Can you spot it? No? Ok... we'll SPELL it out for you. Yeah, there's a typo. It says "Its not you its me." And that makes absolutely no sense. Anyone who has ever had the displeasure of sitting through an English grammar test will know that phrase is missing two very important apostrophes. 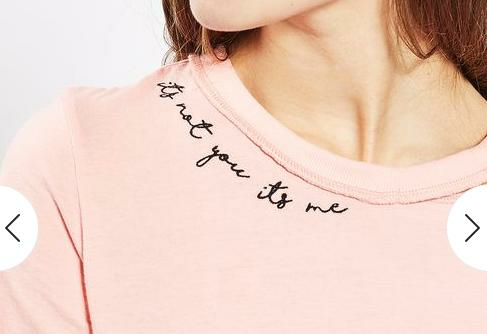 It ~should~ read "It's not you, it's me" and by the looks of things Topshop have noticed as well, as the product name has the correct punctuation in it. Topshop, babes, your commitment to instagram aesthetic goals does not excuse bad grammar.